Each student gets a piece of the picture when they arrive. Extra pieces are arranged in plain sight around the room. Students must put the picture together to find their groups. On the back of the picture for each team is a code hidden in a quote. The capital letters are used to decipher the code. At the 3 Locations are Pyramid Number Codes as shown below. The boxes say the animal legs to elicit students to find the animals hidden throughout the classroom. the number of their legs = the numbers in the box. Students then mathematically figure out the rest of the puzzle. The bottom numbers are the solution to the safe password. Students open the lock box and find a coke and the next clue. *Teacher must have the red, green, and blue DD books in their classrooms. 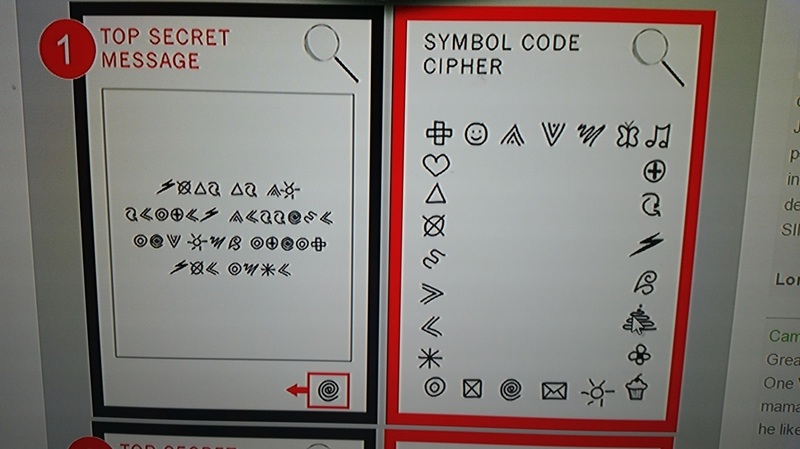 The next lock box contains a cipher decoder and a black light flashlight. 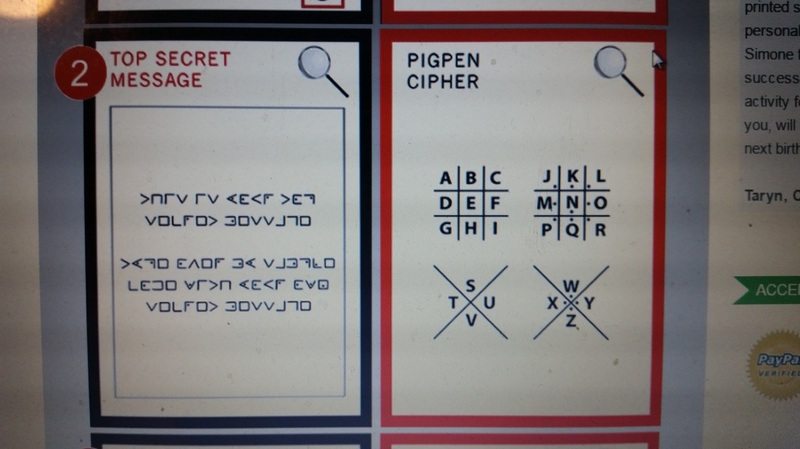 (Pictures below) One cipher is easier for younger students, the other cypher is quite difficult and is for older students. Students then must use the black light flashlight to search the classroom for the hidden message in the classroom. Answer... The Last Key Lies in the Bucket of Vomit! Students must put there hands into the noodle bucket to find the 3 digit code for the last safe. We can write the digits on 3 ping pong balls, then have many other balls with no numbers as obstacles... Once the students find the 3 ping pong balls with the numbers, they must use them to open the last safe to get the mentos candy.